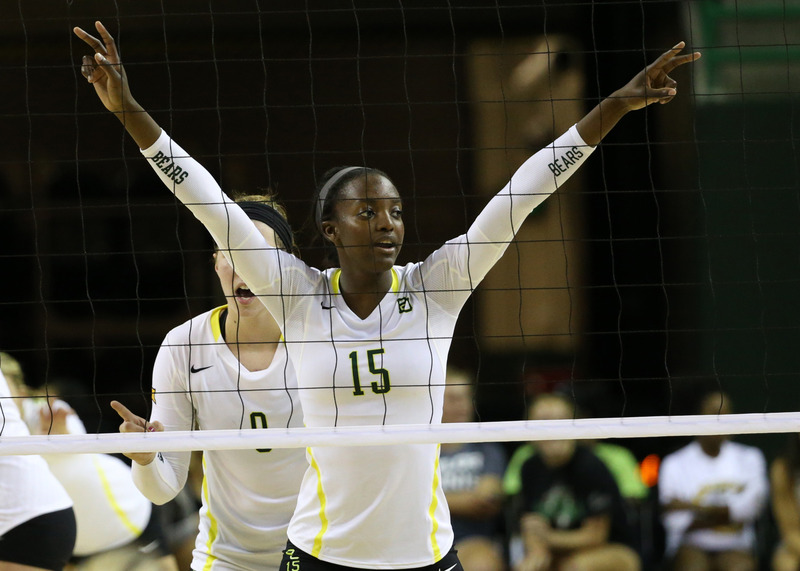 Recent Baylor volleyball graduate Tola Itiola was named the 2018 volleyball sport winner for Diverse: Issues In Higher Education’s Arthur Ashe Jr. Sports Scholar Awards. The award, named for legendary tennis player Arthur Ashe, who was both a 3-time major champion, active in the civil rights movement, and a believer in the importance of education, honors athletes who have excelled on the court and in the classroom, and committed to community service and student leadership. 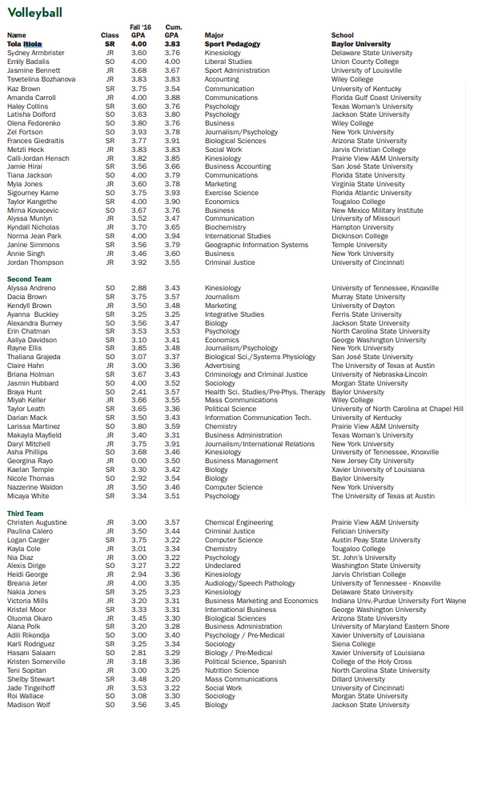 Athletes, nominated by their schools, must be active members of an intercollegiate team, maintain a cumulative GPA of at least 3.2, and demonstrate a record of service to the campus or the community. Itiola had a 3.83 cumulative GPA in her first 4-and-a-half years at Baylor while majoring in Sport Pedagogy. After being named to the 2013 Academic All-Big 12 Rookie Team as a freshman in 2013, she earned First-Team honors in her final 3 seasons (she redshirted the 2016 season with injury). As a junior, she led the team in hitting percentage at .329, and finished her career with 445 kills and 259 career blocks. She also volunteers with the Waco Family Abuse Center, coaches at volleyball camps for impoverished children, and volunteers at Hope Therapy Center, which provides rehabilitation services for children. The organization also named a First Team, Second Team, and Third Team list. Among the names on the list is AVCA First Team All-American Briana Holman of the NCAA Champion Nebraska Cornhuskers, AVCA Second-Team All-American Taylor Leath of North Carolina, and Texas’ Micaya White.